Chances are if you are a homeowner with a nice yard, you’ve worked hard to nurture that yard by fertilizing it, maintaining a regular watering schedule as well as cutting the grass the right length. A lot of time, effort and planning goes with keeping a beautiful lawn. Why Do I Have Yellow Bald Patches in My Grass? Unfortunately, sometimes unforeseen culprits can create yellow bald patches in your grass. Many times, these yellow areas can be attributed to fungi, grub worms, and other pests. However, sometimes these changes in your grass are caused by your furry family members or the neighbors’ dogs. What is in Dog Urine? Many people believe the common misconception that dog urine contains “acid” but this is untrue. The urine from a dog usually contains a high concentration of nitrogen which is the by-product of a high protein consumption of a dog. When a dog relieves itself on a lawn, the result is much like a fertilizer burn. The grass will appear to look like straw in the center of a circle with a green ring around it. It’s The Dog’s Fault, Now What? The solution to your problem is actually very easy. After you see your dog use the bathroom on your lawn, dilute the urine with water and that will do the trick. If you continue to see yellow patches in your grass, it may not be the dog. 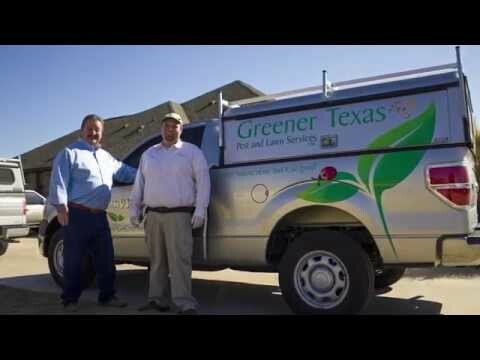 Contact Greener Texas for a free consultation on lawn care maintenance at 512-930-0897.